Fujifilm W1 is no ordinary camera. Look at it again, did you see two lenses? There are two lenses because it is able to take 3D images! Whether W1 can be a must-buy depends on the quality of the 3D images. 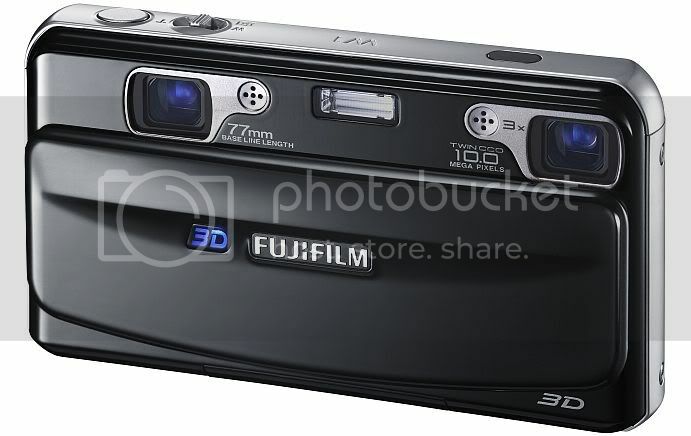 No sample yet but there is a catch here though... A Fujifilm proprietary software is needed to view the 3D images… oh come on. you think JPEG can store 3D? Buying a Fujifilm? It’s exciting times! Sony Vaio W Series: Pre-order! Dell Swarm: Are you a Swarm-er?